Manuel da Costa, founder of Effective Experiments, delivered a speech about 'Achieving Experimentation Excellence in Your Organisation' at Ecommerce Conversion World 2017 in March. Here’s what we learned about how to build a Conversion Rate Optimisation (CRO) team with the right team roles, as well as a case study on how Spotify does it. 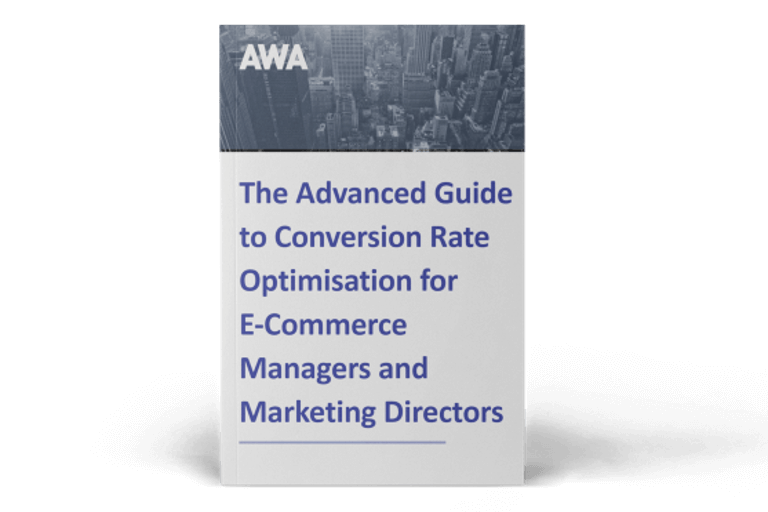 Conversion Rate Optimisation is big focus for ecommerce, with 28% of retailers citing it as their top digital-related priority in 2017, according to the Econsultancy Digital Trends in Retail report. Targeting and personalisation tops the list with 33% of retailers naming it as their number one priority. 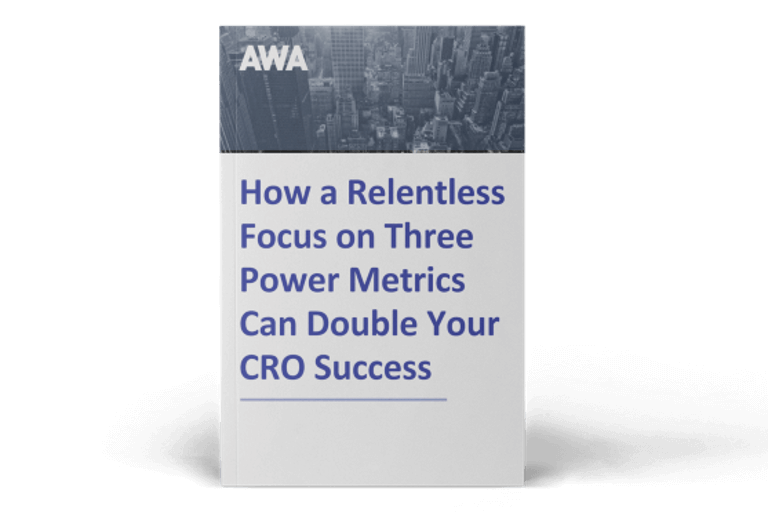 With a growing focus on CRO and growing budgets, there’s pressure to make sure you’re getting the most out of your optimisation programme. Manuel pointed out that no two optimisation programmes are the same, and they are often not done well. Challenges include lack of industry knowledge and resources, and a misplaced focus on the latest technology. Whilst specialised CRO tools are important for execution, as Manuel simply put it, ‘garbage in, garbage out’. One of the biggest blockers to great CRO teams is a lack of buy-in. With an ‘us vs. them’ mindset among internal departments, developers, optimisers and designers all need to be working towards the same goal rather than fulfilling their own agendas. People are the most important asset to your CRO programme - you need the right individuals to use all those clever CRO tools I mentioned earlier. Manuel suggested 4 levels of programme maturity, with each successing level involving more people and more dedicated roles. If you’re new to CRO, you can begin with a team of just 1- this may be a digital marketer who can work part-time on your programme. They’ll need to be a ‘Jack of all trades’, acting as a project manager, researcher and even a copywriter. Do: Focus on tests that will help prove the return on investment (ROI) - this will arm you with key information for stakeholders and allow you to ask for a bigger budget. If this is what one person can do, think of what we can achieve with a team! Don’t: Go it alone. 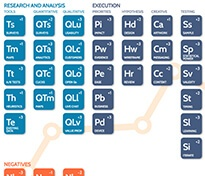 It can be stressful to juggle all the roles of a good CRO programme in addition to other tasks. Instead, request help from an external agency and development resource. The pressure is still on you, but now you’ve got some friends. You can bring in a Front End Developer or UX Designer to help get the tests out of the door more quickly. At this stage of maturity you’ll no longer need to borrow people from other departments. Instead, you’ll have a dedicated team for your optimisation programme, which may include a Quality Assurance Lead and a Web Analyst. By now you’ll have an extensive team of dedicated specialists to give you that extra edge. You may have individual roles such as a Psychologist, Statistician or a Content Specialist. Microcopy is extremely important, and changing it can bring out big results. This famous study changed the word on a button from ‘Register’ to ‘Continue’ and added a few lines of text, resulting in a 45% increase in revenue, amounting to £300m. Manuel referred to ‘agile’ teams, so I did a little background reading and found that the agile approach to development involves a set of principles that allow cross-functional teams to work quickly, collaboratively and autonomously - focusing on incremental changes in response to changing requirements from end users. There are a number of agile methodologies, and you may already be familiar with Kanban - the approach of making small continuous improvements - which falls under the umbrella of the agile framework. Scrum is a popular agile methodology described as, ‘A framework within which people can address complex adaptive problems, while productively and creatively delivering products of the highest possible value’. This involves specific teams roles including Product Owner, the Development Team, and a Scrum Master. Companies have naturally developed their own agile methodologies with new names for their teams and roles, and below is an example of how a Spotify is using the approach for their mature CRO programme. Like those based on the scrum methodology, Spotify’s teams include a Product Owner and Developers working in cross-functional teams, but these are called ‘squads’. They’ve tried to gamify their process, and the different groups are outlined below. A squad is a multidisciplinary team, usually with fewer than 8 people, with end to end responsibility for a long-term mission such as creating the radio experience or providing payment solutions. You can see how different squads work on different parts of the user experience in the image below. This self-organising team may include roles such as Developer, Optimiser, Analyst or Designer, and choose to use Kanban or Scrum principles or combinations. You can think of them as mini start-ups. A tribe is made up of multiple squads that work in one area, like backend infrastructure. Squads and tribes work on different parts of the website, but are all working towards the same goal of improving the user experience. Chapters are made up of members from different squads with the same abilities such as web development, quality assurance, or agile coaching. Chapter leads act as formal line managers with a focus on coaching and mentoring. A guild is a community of individuals with shared interests, such as leadership or continuous delivery, who may be from different squads. They share knowledge through regular meetings and a mailing list. Guilds are optional and members can leave at any time, meaning that those who choose to stay are likely to be enthusiastic. Chapters and Guilds enable the cross-pollination of ideas and allow members to find out what’s been done in different squads and the challenges they came across, so everyone can learn. This is vital for achieving economies of scale, while allowing the squads time-saving autonomy. If you’re interested in Spotify’s approach, there’s a great explainer video about the Spotify engineering culture which is well worth a watch. Keep track of your stats - (How many experiments this month? What’s the success rate?) This allows you to identify where your experiments are getting held up and bottlenecks are occurring. Prioritise! No priority = bored optimisers. Don’t rely on amateur optimisers - if you test the wrong things, it will have no real impact on the bottom line of your business.